The EPA Map of Radon Zones rates Columbus Ohio as a Zone 1 (highest potential). Radon is an odorless, cancer-causing radioactive gas. It is produced as a by-product of the natural breakdown of uranium in the soil beneath us. It is the #1 killer of non-smokers in Ohio. It is responsible for an average of 900 lives each year in Ohio. It enters your home through your building’s foundation where it is trapped and concentrates. You breathe it. Our radon inspection monitors will reveal your risk and we can remove it. Any confined space where people spend a large portion of their day may subject them to poisonous radon gas. If testing reveals unsafe levels, we present a radon mitigation strategy to make your building safe and help protect you against potential liability. A large portion of our practice is commercial multi-tenant properties. Every building in Columbus Ohio has measurable levels of radon. It’s simply a matter of whether the levels in your building present a risk. If mitigation is right for you, there are several proven methods to reduce radon in your building. Although your system runs, it may not be working properly. The EPA recommends inspection every 2 years. Install a sub-slab depressurization system with an active fan. Post-Installation Retest using Continuous Electronic Monitoring. We minimize the mess and leave your home or business as clean as the day we arrived. We use our own people. A licensed specialist is on every job site. All are experienced and receive on-going industry updates. The design of your new system won’t interfere with your living space or look an eyesore. All installs are guaranteed. Yes, that says transferable. We are confident in our work. What is an "unsafe" level of radon? 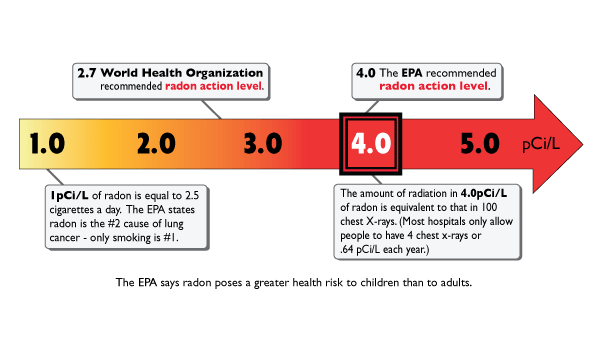 Every major health organization (e.g., The Center for Disease Control, the American Lung Association, EPA, and the American Medical Association) agrees that radon causes thousands of preventable lung cancer deaths each year. Do you offer free radon testing kits? No. Our techs use Continous Electronic Monitoring equipment. My home is pretty new/old. Why hasn't a system already been installed? Some cities/counties do require new homes to be built using radon-resistant construction methods and installation of passive radon systems, but not all communities require this. To many, protection is voluntary. Is it expensive to get radon tested? A radon test costs $150.00. 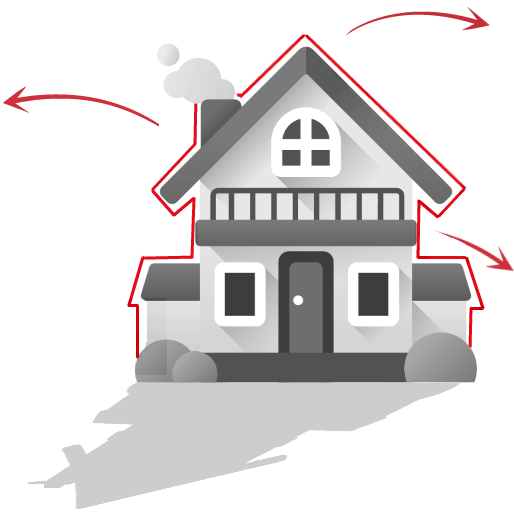 We send a representative to your property to deploy a continuous radon monitor. The monitor will remain for a minimum of 48 hours, we then return to discuss the results with the homeowner or property manager. If your levels are above the recommended action level of 4.0 picocurie per liter (pCi/L), we will discuss with you and design an appropriate radon mitigation system. My neighbor's home tested as acceptable, mine must be also? FALSE. Even homes with similar floor plans, building materials, size & age can have different radon levels. Radon enters your home through anything that has contact with the ground. Even homes without basements can have elevated radon levels. Does Aadvanced Aair - Radon test & mitigate commercial buildings? Yes, and with over 30 years in business, we have the experience and expertise to ensure your business runs smoothly.